It started innocently enough. I was browsing the internet 'Lappie-Gazing'. I made contact with Anne (co-owner of the Staalon prefix) and we developed a friendship over a number of months. Glancing through some photos of her lovely girl Iina i saw the two photos above of Iina with her son Uski. Thinking they were some of the sweetest faces i'd seen i did some research on the pedigree. Finding some new and old lines, i researched all the brothers and offspring before approaching Anne and Annikki asking their advice on the brothers. Anne and Annikki recommended Uski and Anne arranged all the details with Uski's owner, Tiina, who was only too happy to help. Uski lives at home with his daughter 'Ruusa' (Miskajasmin Ruustiina) and another entire male 'Luca' (Staalon Åregano). 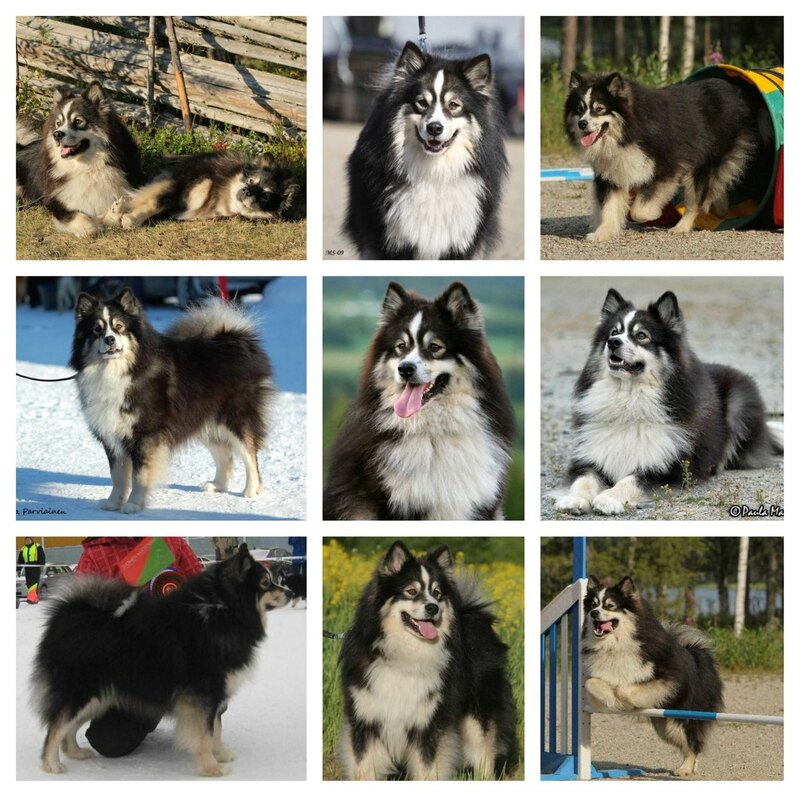 His owner recently bred her first litter under the Usvatassun prefix, a tribute to Uski. Uski is a lovely dog and is described as a very clever, playful and cheeky boy with 'a twinkle in his eye'. Its no surprise then that one of his nicknames is Vihtarannan Vintiöt. Vihtaranta is the region where they live and Vintiöt means 'Rascal'. But they also say he is such a cheerful and happy boy that they always forgive him his mischief. Sounds like he'd be right at home here. My sincerest thanks to Annikki, Anne and Tiina for all their help in arranging the collection of Uski. 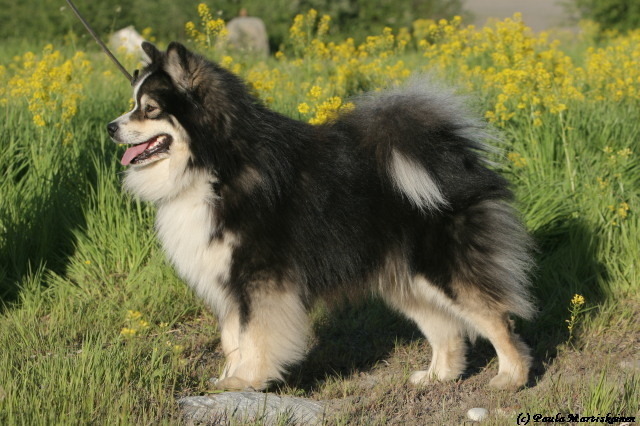 I am very excited to include Uski in my breeding plans.